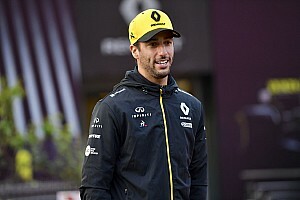 Daniel Ricciardo headed a Red Bull one-two to claim pole position for the Mexican Grand Prix as Formula 1 title rivals Lewis Hamilton and Sebastian Vettel completed the second row. 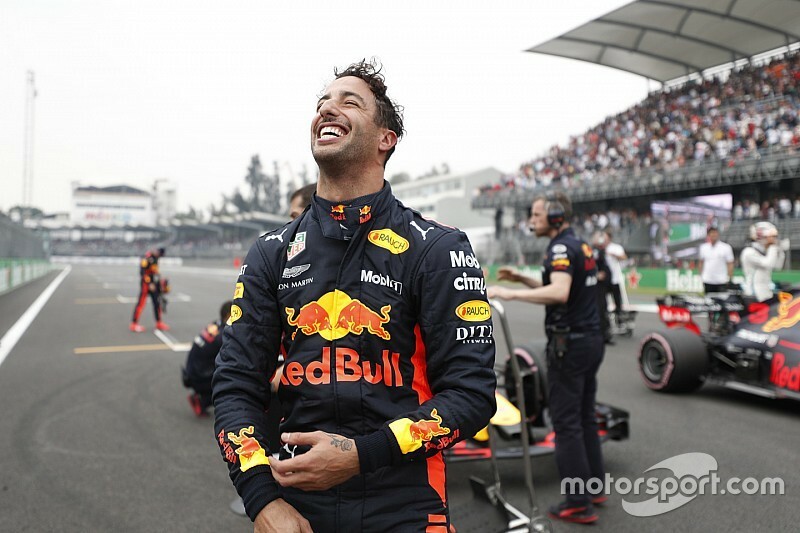 Ricciardo overhauled teammate Max Verstappen on the final runs in qualifying to take his second pole of the season. Hamilton was quickest on hypersofts in the opening phase of qualifying but Verstappen had the edge on ultrasofts in Q2 and took that momentum into Q3 to hold provisional pole after the first runs. His 1m14.785s was almost two tenths clear of Vettel, while Hamilton lost time in the middle sector but snuck ahead of the second Red Bull of Ricciardo to hold third spot. 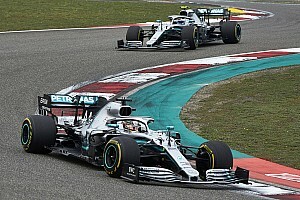 Vettel, Ferrari teammate Kimi Raikkonen and the other Mercedes of Valtteri Bottas all failed to improve on their second runs, but Ricciardo vaulted to top spot on a 1m14.759s. That only put him 0.026s clear of Verstappen but was enough for pole given the Dutchman failed to improve despite setting a fastest first sector and Hamilton only managed a 1m14.894s. Bottas will line up fifth with Raikkonen sixth on an all-Finish third row. Red Bull, Mercedes and Ferrari were all able to progress to Q3 without using the softest compound. 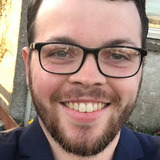 That means they will all start the race on the more preferable ultrasoft tyre and can avoid the problematic hypersofts. Renault continued to hold an advantage in the best-of-the-rest fight through qualifying but it was Charles Leclerc who hauled his Sauber to seventh on the first runs. 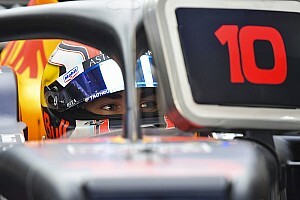 Leclerc outpaced Nico Hulkenberg by less than a tenth but the Renaults hit back on their second laps, with Hulkenberg leading Carlos Sainz as Leclerc was shuffled to ninth. His Sauber teammate Marcus Ericsson completed the top 10 and was fortunate to make it through to the shootout having failed to improve on his second run in Q2. With the hypersoft tyres degrading so rapidly in Friday practice, Esteban Ocon has arguably the most favourable position of the midfield teams as the first of those who did not make Q3. Ocon was 11th fastest after Racing Point Force India opted to use supersofts and then ultrasofts in the second part of qualifying. It means he and Sergio Perez, who qualified 13th, will have freedom of choice over the tyres they start the race on. 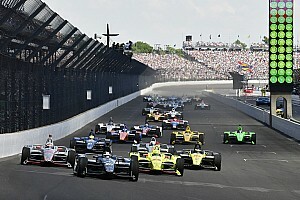 Fernando Alonso split the Force Indias in his McLaren, while the under-pressure Brendon Hartley was limited to 14th after a mistake on his final lap – Toro Rosso suggested he was on course for a laptime that would have been good enough to progress. 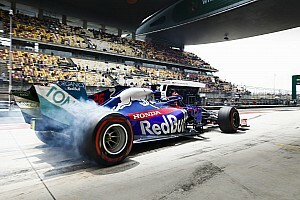 Hartley's teammate Pierre Gasly did not complete a timed lap in Q2 because Honda's engine strategy and a gearbox change meant he went into the session consigned to a back-of-the-grid start, so Toro Rosso opted to save tyres and mileage. Romain Grosjean was first of the drivers to be eliminated in the opening part of the session, missing out on progressing by just half a tenth. He and Haas teammate Kevin Magnussen used three sets of hypersofts in their bid to make Q2 but still fell short. Magnussen was 18th fastest after failing to improve on his final run, with the McLaren of Stoffel Vandoorne in between the Haas pair. Williams duo Lance Stroll and Sergey Sirotkin were slowest but will not fill out the last row of the grid as Gasly will drop back because of his penalty.